Achieve perfectly ironed clothes using this wonderful Beldray ironing board with a multi-position iron rest which allows you to position the iron at the perfect angle as you iron. 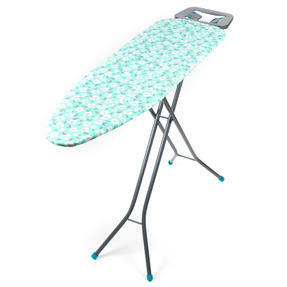 The board measures 110 x 33 cm with a height of 90 cm so you can iron comfortably and conveniently, while the non-slip plastic feet provide safety. 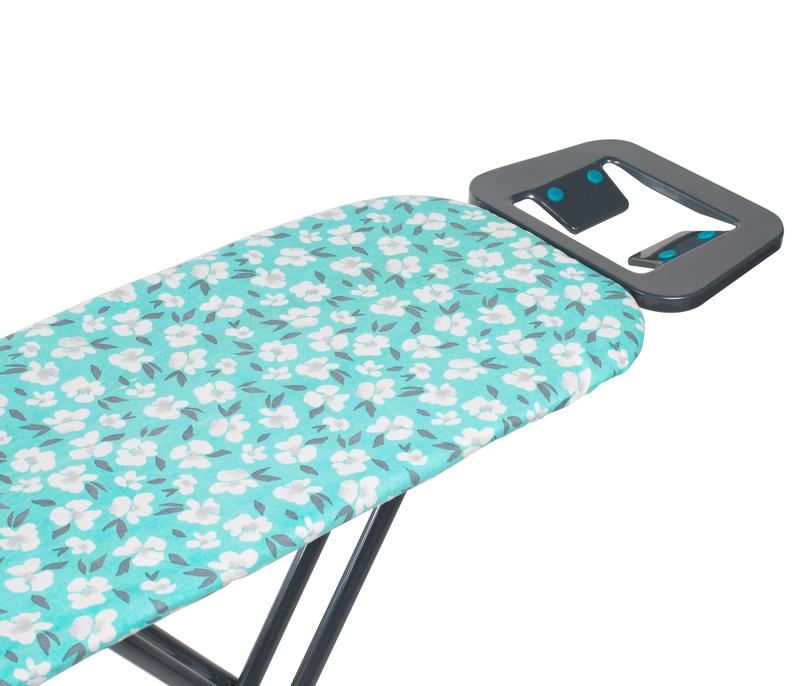 The smooth 100% cotton cover will protect your clothes while you iron and features a gorgeous turquoise poppy design which will look lovely in your home. 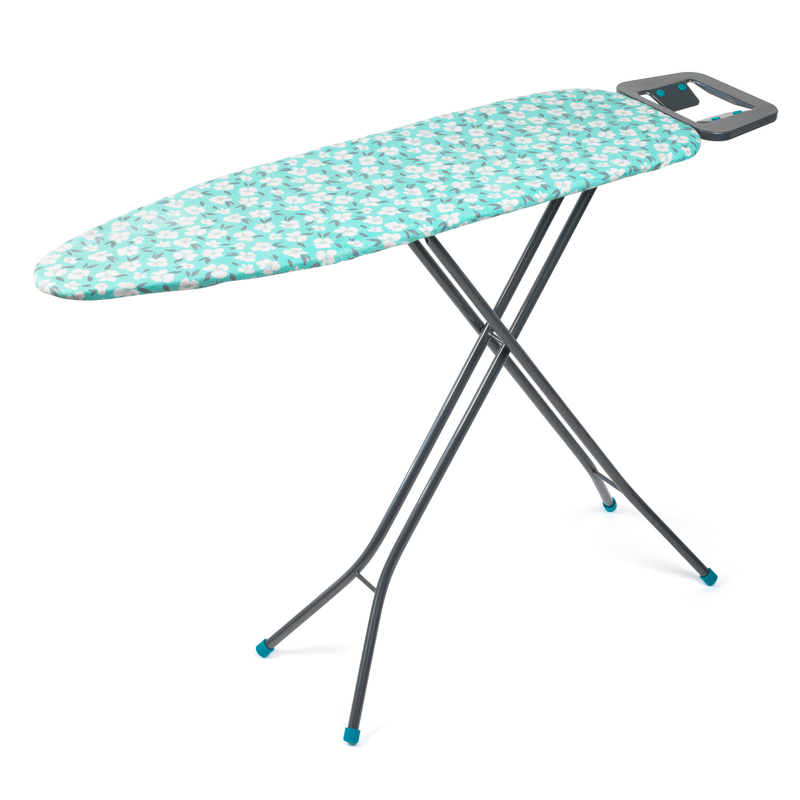 Enjoy ironing your clothes with this beautiful Beldray ironing board featuring a bold turquoise and white poppy design cover. An adjustable iron rest means you can have the iron cradled at your preferred angle, while the silicone grips make it safer to use. 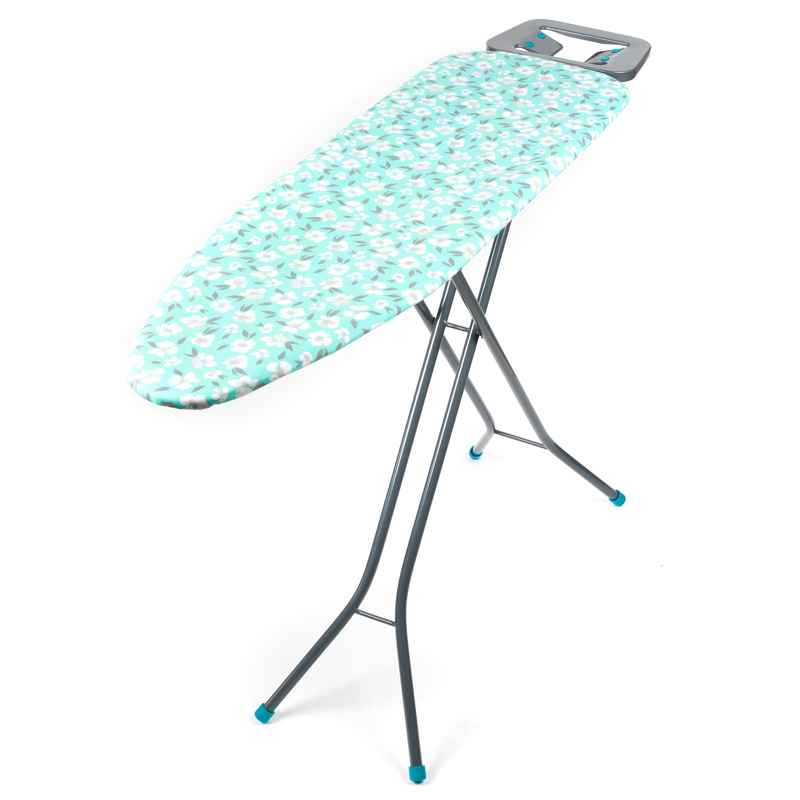 With a height of 90 cm and non-slip plastic feet to keep it securely in place, you can stand comfortably at the board while ironing. It has a diamond shaped mesh panel with a 100% cotton cover which beautifully supports and protects your clothes during ironing. Measuring 110 x 33 cm, it has plenty of space without being too bulky, and the whole board can fold completely flat for easy storage.